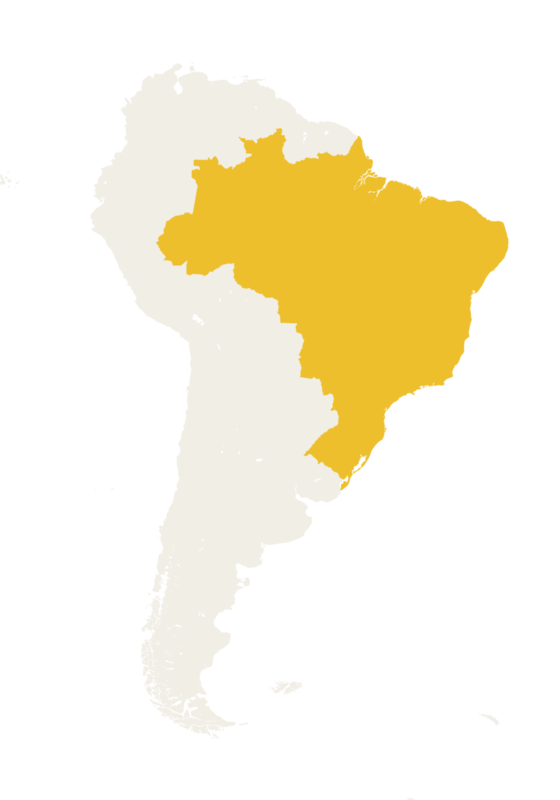 Brazil is home to 60% of the Amazon rainforests – and one-third of the world’s rainforests. Almost 60% of the country is covered by rainforests. This rainforest cover makes Brazil the most biodiverse country on Earth. Between 2004 and 2014, the rate of deforestation in the Brazilian Amazon fell nearly 80% to the lowest levels on record. During the same period, Brazil's economy grew roughly 40% suggesting a decoupling of economic growth from deforestation. After a decade of decline, deforestation spiked in 2016 to the highest level since 2008, and in 2017 Brazil experienced its second-highest rate of tree cover loss. Agriculture is the main driver of Brazil’s deforestation, with beef and soy production the main contributors. Urbanization, infrastructure, logging and mining have also been important factors. Brazil is home to more than 111 million hectares of legally-recognized Indigenous territories, which cover 13% of the country of Brazil and one-quarter of the Amazon. Legally recognized Indigenous and community forests in Brazil store 36% more per carbon per hectare than other forests.